• Making home improvements on our first house. • Volunteering at Granger Community Church - Elkhart Campus on the Art & Tech Team. Fifteen years of experience with the CAD packages listed above. Design Experience: Tooling, Machines, Trucks, BioMedical. Experience with other software: J.D. Edwards and Mititoyo CMM. • Long term contractor assigned to the position of Checker. • Validating personalized solution cutting guides for knee replacement surgeries for patients worldwide. • Confirming Label Sheets using barcode relating to patient information is correct and emailed to manufacturing. • Ensuring all deliverables, including exported STP and STL files for Rapid Manufacturing are free from error. • Actively volunteering on the first TruMatch Fish Philosophy team named “C.A.T. Fish”, boosting morale in the office. • Offering my experience in reducing cost in products. • First client was a startup company, Green Boomerang needing concepts for returnable packaging. • Called on by my previous employer Morgan Olson. Provided manufacturing with floor support revisions. • Offered product costing services to Dexter Chassis in White Pigeon, Michigan. • Designed complete customer specific orders for retail walk-in trucks. • Saved more than $500, 000 on a linen truck fleet project and avoided the loss of a new account. • Lean Engineering team member. • J.D. Edwards Enterprise One ERP software. • Effectively communicated with sales, project managers, supervisors, and directors. • Performed periodic presentations for complex designs and major chassis change adaptations. • Drafting and revising Utilimaster product drawings. • Design of machinery products for commercial manufacturing of vinyl and aluminum products. 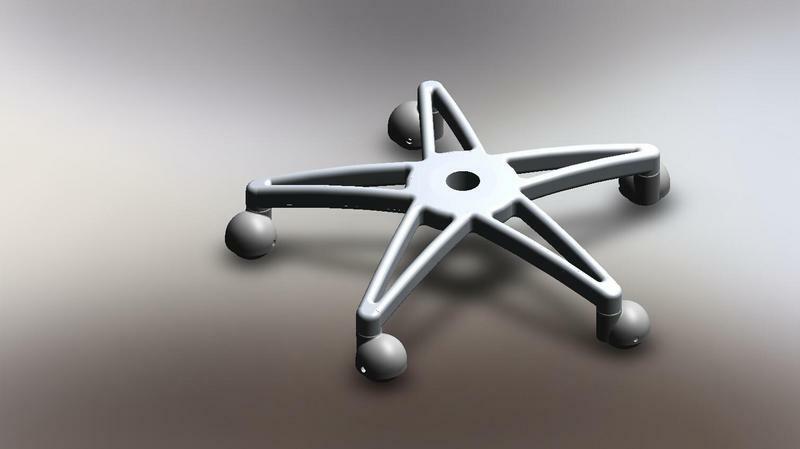 • SolidWorks 2003 for referencing old projects, as well as designing new parts from old geometry. • AutoCAD 2003 to layout concepts and floor plans for customers. • Responsible for CAD software management and training. • Responsible for CAD standards training and enforcement. • In home computer tutoring, upgrades, and light repair. • Organized and wrote for lock-out tag-out project of 1000+ pieces of equipment. • MS Visio, and proprietary software to work with industrial PDA’s for maintenance. BKB: Full-Time General Engineer. Design of tooling and fixtures for high-speed aluminum machining using AutoCAD 13. 2000 and 2002. Along with overseeing the repair, maintenance, and implementation of a Mitutoyo CMM machine. Plus the programming for new parts, designing of multi-piece universal fixtures, and training of quality personnel for the daily operations. In addition to some PPAP recording, and a member of the Continuous Improvement Committee. Along with some photography, graphic design using Corel Graphics Suite 7, and resident technology advisory. MTD: Full-time Tool Design Engineer. Using AutoCAD 13, 2000, 2002, and Pro-Engineer V18, and 2000i, plus Intralink. Designing tooling for tube-end-forming machines. Assisting Machine Designers with the detailing of machine components. Revising all development tooling prints, and sending them to customers worldwide. The recommendation of Internet use to reduce costs, especially with the shipment of prints. Helping in creating a company presence on the World Wide Web by aiding in photography, and graphic design using Corel Graphics Suite 7. The implementation of the conversion of the Machine Owner Manuals from large 3" binders full of information and photo prints to files on compact discs. Used NX6 along with Teamcenter 2007 exclusively at TruMatch of Depuy. I started using AutoCAD in high school. I used it steadily till 1999. I still have an old copy, that I use from time to time. I used Pro-E while working for Manchester Tool and Die, and BKB Manufacturing. I like Pro-E quite a bit. I went through traing for it and Pro-Intralink. I used Solidworks on my own long before CMM. I used it on a part time basis with CMM, and then used it on a full time basis with Utilimaster. I also use it at home for my own projects. I like Solidworks for it's interopability with other software. It's flexiblity makes it my overall favorite CAD program. Started using NX3 when I started with Morgan Olson. We switched to NX5 mid 2008. I had not used Unigraphics before Morgan Olson. Use NX6 along with Teamcenter 2007 exclusively at TruMatch of Depuy. Used J.D. Edwards while working at Morgan Olson. Had 3 internal classes. No certification offered.